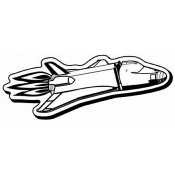 Custom airplane shaped magnets are perfect to create an impression that your brand or business is in top-flight. Constructed with good quality magnetic stock material, these airplane refrigerator magnets, act as business cards as well as an amusement token. 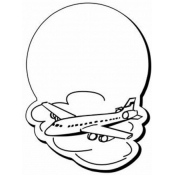 Advertisers can utilize these highflying airplane fridge magnets, for announcing their new ventures, introducing their business, popularizing their accessibility and many more. 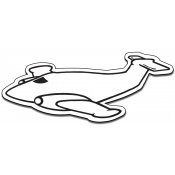 Save on wholesale airplane refrigerator magnets. Made in USA and lead-free. Imprinted aviation refrigerator magnets or aircraft magnets are a great choice for travel companies, aviation companies, hospitality marketers, destination marketers and many others. These custom shaped magnets are also perfect for small businesses and individuals who are otherwise struggling to make an impact. For better impact, custom aircraft magnets can be handed out at the end of a tour program or gifting during bookings or purchases or they can be mass distributed during tradeshows. These imprinted airplane refrigerator magnets make a year around gifting choice because the human fascination with flying objects never subsides. Aircraft magnets make smart gifts because if not as a promotional token, at least users would be happier to retain them as refrigerator art or decorative token. At custommagnetsdirect.com, we offer the benefits of full color imprinting, and price saving on bulk orders, shipping, artwork, and customization. 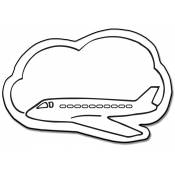 Our collection features best selling personalized airplane shaped magnets in different designs, shapes and budget sizes, so that you can easily choose the one that fits into your scheme of things. Do you wish to learn more about promotional possibilities of custom airplane shaped magnets, don’t hesitate to contact us at 855-762-4638 or mail at info@Cmagnets.com.